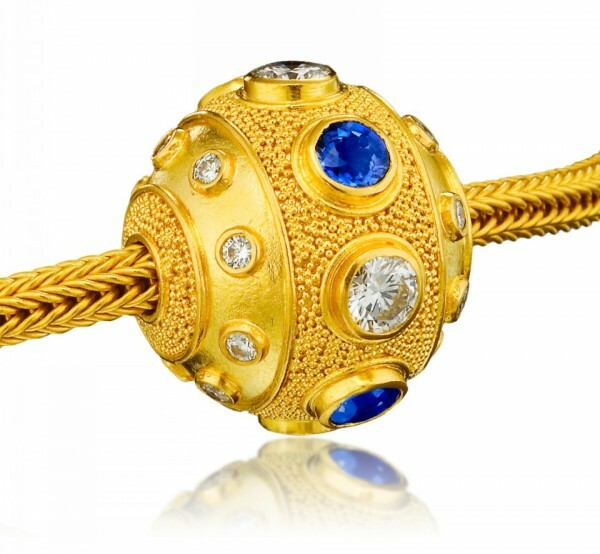 22K gold spherical pendant with alternating diamond (1.0 ctw) and blue sapphire (1.2 ctw). Adorned with sixteen diamonds .40 ctw. Approximately 3/4” high. This piece is shown on the 22K Hand-Woven chain featuring a removable termination allowing the pendant to be taken on and off.